Crystal Lake South defeated Crystal Lake Central during Thursday's game in Crystal Lake on September 6, 2012. 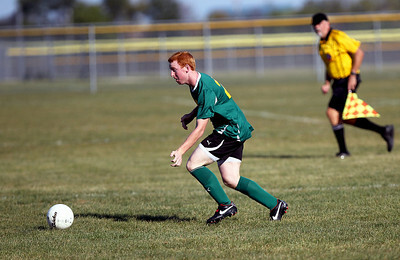 Crystal Lake South won, 3-2. 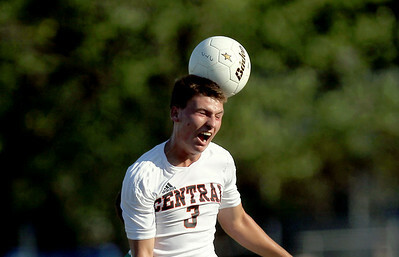 Sarah Nader - snader@shawmedia.com A Crystal Lake Central player ices his head while watching the varsity soccer game against Crystal Lake South in Crystal Lake on Thursday, September 6, 2012. Sarah Nader - snader@shawmedia.com Crystal Lake South's Sam Murdock stops the ball during the first half of Thursday's game against Crystal Lake Central in Crystal Lake on Thursday, September 6, 2012. 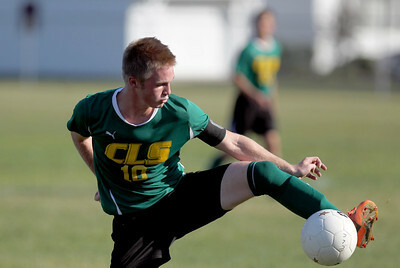 Crystal Lake South won, 3-2. 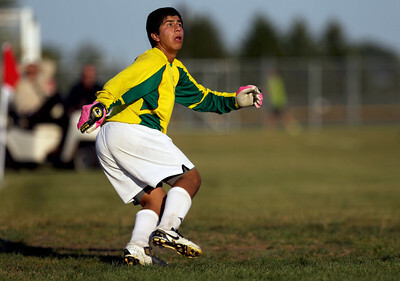 Sarah Nader - snader@shawmedia.com Crystal Lake South's Gus Alvares watches the ball during the second half of Thursday's game against Crystal Lake Central in Crystal Lake on Thursday, September 6, 2012. 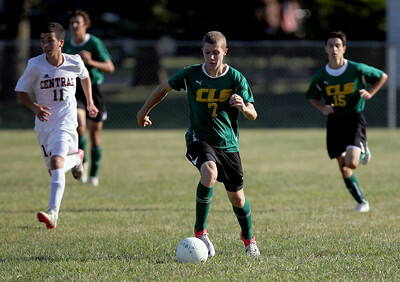 Crystal Lake South won, 3-2. Sarah Nader - snader@shawmedia.com Crystal Lake Central's goalie Mitch Korn kicks the ball down field during the first half of Thursday's game against Crystal Lake South in Crystal Lake on Thursday, September 6, 2012. 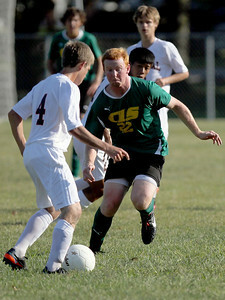 Crystal Lake South won, 3-2. 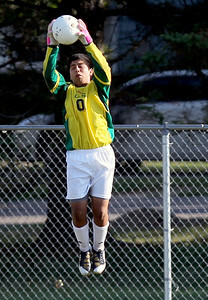 Sarah Nader - snader@shawmedia.com Crystal Lake South's Gus Alvares stops the ball during the second half of Thursday's game against Crystal Lake Central in Crystal Lake on Thursday, September 6, 2012. Crystal Lake South won, 3-2. Sarah Nader - snader@shawmedia.com A Crystal Lake South player brings the ball down the field during the first half of Thursday's game against Crystal Lake Central in Crystal Lake on Thursday, September 6, 2012. 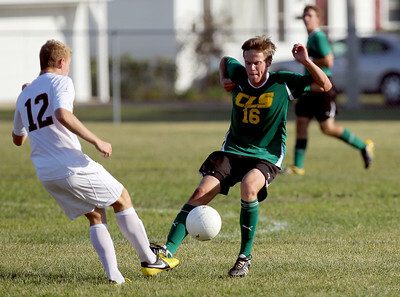 Crystal Lake South won, 3-2. Sarah Nader - snader@shawmedia.com Crystal Lake South's Matt Tobolt brings the ball down field during the first half of Thursday's game in Crystal Lake on September 6, 2012. 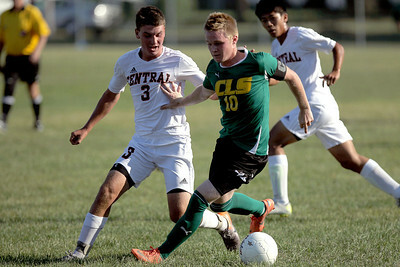 Crystal Lake South won, 3-2. Sarah Nader - snader@shawmedia.com Crystal Lake South's Sam Murdock (right) holds back Crystal Lake Central's Chris Struck (left) while he brings the ball down field during the first half of Thursday's game in Crystal Lake on September 6, 2012. Crystal Lake South won, 3-2. 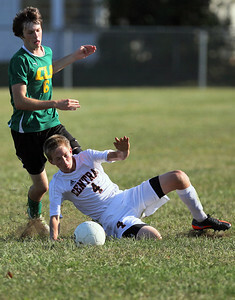 Sarah Nader - snader@shawmedia.com Crystal Lake Central's Jake Sigmund (right) steals the ball from Crystal Lake South's Jack Carlson during the first half of Thursday's game in Crystal Lake on September 6, 2012. Crystal Lake South won, 3-2. 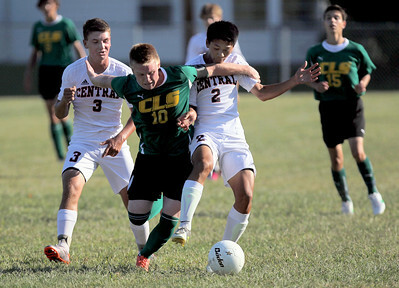 Sarah Nader - snader@shawmedia.com Crystal Lake South's Sam Murdock (center) holds back Crystal Lake Central's Chris Struck (left) and Allen Chen while he brings the ball down field during the first half of Thursday's game in Crystal Lake on September 6, 2012. Crystal Lake South won, 3-2. 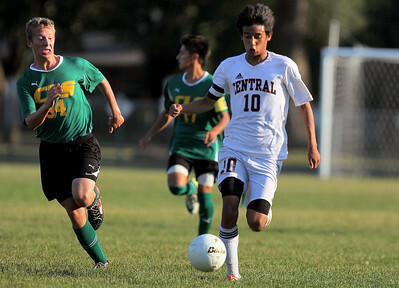 Sarah Nader - snader@shawmedia.com Crystal Lake Central's Luis Medina (right) brings the ball down the field during the second half of Thursday's game against Crystal Lake South on September 6, 2012. Crystal Lake South won, 3-2. Sarah Nader - snader@shawmedia.com Crystal Lake Central's Chris Struck heads the ball during Thursday's game against Crystal Lake South in Crystal Lake on September 6, 2012. Crystal Lake South won, 3-2. Sarah Nader - snader@shawmedia.com Crystal Lake South's Michael Conley (right) is guarded by Crystal Lake Central's Jordan Fisher while he brings the ball down field during the first half of Thursday's game in Crystal Lake on September 6, 2012. Crystal Lake South won, 3-2. 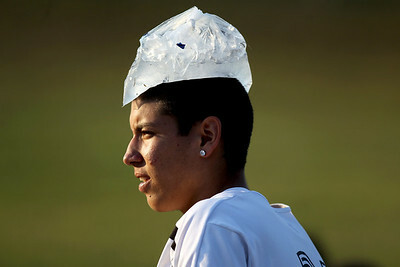 A Crystal Lake Central player ices his head while watching the varsity soccer game against Crystal Lake South in Crystal Lake on Thursday, September 6, 2012.